Nikki: Do you know anything about this place? 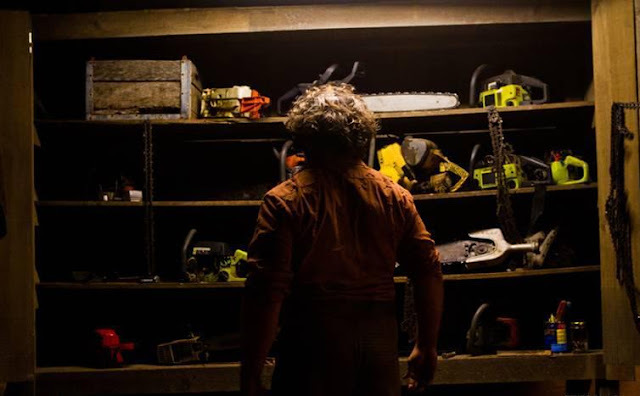 Starting this year out on the right foot, the latest entry in the Texas Chainsaw Massacre franchise manages to put Hollywood in a position to go nowhere but up. 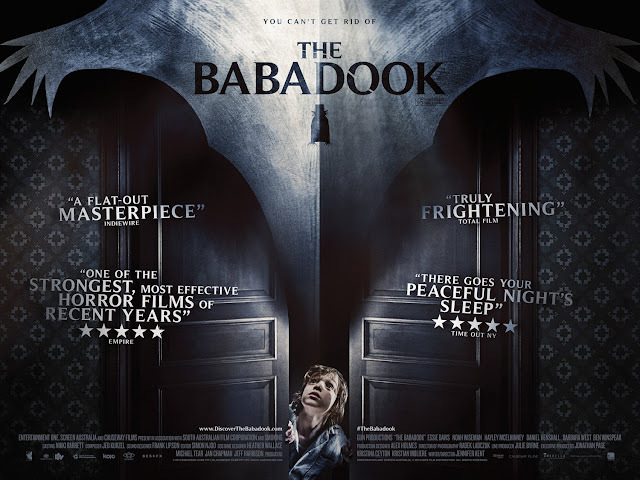 I do enjoy my share of horror films and was happy to enter into this film with an open mind, but man is it terrible. Given my love for the original film and my general fondness for the second, the idea of a film billed as a direct continuation of the original entry written and directed by Tobe Hooper was slightly intriguing. Even in a post-Cabin in the Woods world, where horror movies can be boiled down to words on a dry erase board, I went for it. The results were not good. Texas Chainsaw 3D is not just a bad film, it is an idiotic one that literally cannot do basic math. Read on to find out why. Let’s get this story out of the way first. After a highlight reel of the original 1974 film, which recaps the story (in post-converted 3D), the film kicks into gear in the same time period, picking up mere hours after where the original film ended. With reports of the Sawyer family being responsible for the deaths of several young adults, an angry mob burns down the Sawyer family home, leading to the deaths of many people, presumably including the chainsaw wielding Leatherface (Dan Yeager). The only exception is a small infant, which one member of the mob manages to hide away, so he can have the daughter he and his wife always wanted. Twenty years later, this infant has grown up to be Heather (Alexandra Daddario), who finally learns that she was adopted/taken at a young age, following the death of her real grandmother, who has left her an inheritance. Heather and her friends (played by Tania Raymonde, Trey Songz, Scott Eastwood), as well as a hitchhiker they picked up (played by Shaun Sipos), travel to Newt, Texas to pick up her inheritance, which turns out to be a rebuilt Sawyer family home, which is more like a mansion now. Upon arriving, however, Heather and her friends discover that this home is still occupied by another member of the Sawyer family, thought to be long dead. 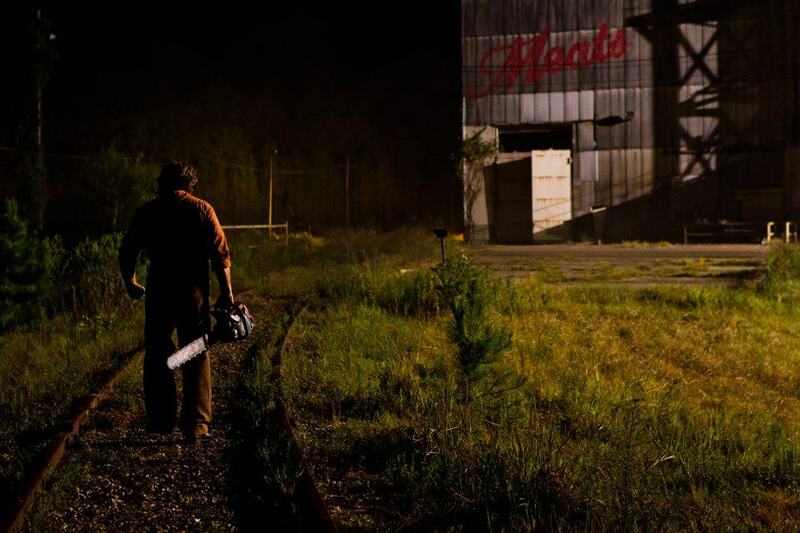 However, a chainsaw wielding maniac is not the only thing to worry about in the town of Newt, Texas, as the town’s dirty secret may just end up being more of a threat to Heather. I really don’t have a whole lot to say about the rest of this film…fine – slasher movie mayhem ensues. What I really want to get to is the math and logic of this film universe we are presented with, as it is far more interesting. 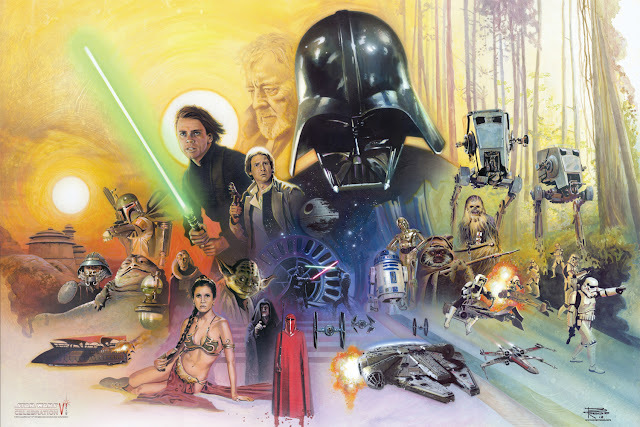 The original film, which is the opening setting of this new film, took place in 1974. The rest of Texas Chainsaw 3D takes place very clearly in 2012. Our lead character, Heather, is clearly a girl in her 20s, along with the rest of her friends. The movie’s own logic dictates that Heather should be in her 40s, but the film is apparently too stupid to even try to justify this. That is not nitpicking, because I did not need to try and piece that together, it just came naturally. The film is that lazy. It may know how to create creative 3D jump scare moments, but a basic understanding of time is not something this film can comprehend. 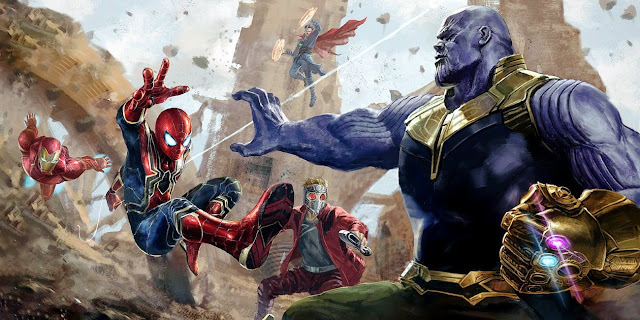 How about some more general knowledge about this franchise? The Texas Chainsaw Massacre franchise has the most convoluted universe next to the ongoing Fast and Furious film franchise. While the Fast and Furious films have the first two entries, then the fourth, fifth, and presumable sixth and seventh entries, which all take place before the third entry in the series, the Texas Chainsaw Massacre films may have it beat. Texas Chainsaw 3D is the sequel to a film that has already had an official sequel, and two films that follow that one, while also having been remade, with that remake having had its own prequel. Is all of this confusing enough? Well I’m sorry, but I find it much more fascinating to examine this kind of information, as opposed to the rest of the newest film in this ridiculously complex franchise. 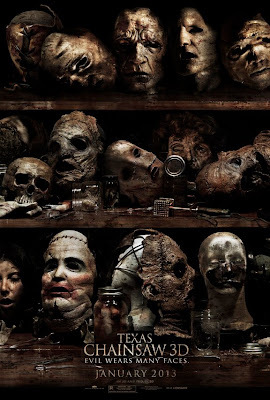 It is as if Texas Chainsaw is the one horror franchise that deserved its own Ultimate Marvel-style universe, making me wonder where Freddy vs. Jason falls into all of this mess, let alone some of the Halloween sequels. Still interested in further analysis of the actual film, putting aside my interest in other things? Okay. 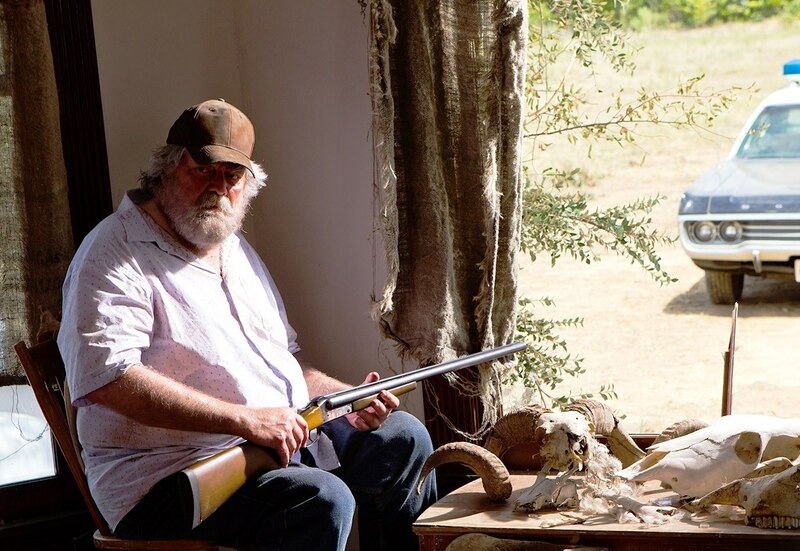 In one of the commentaries for the original Texas Chainsaw Massacre, one of the cast members talks about their thoughts on the Michael Bay-produced remake from 2003. They explain that, sure it looks good, given the expanded budget, but it lacks risk, grittiness, the unpolished, but real qualities, and everything else that made the original film standout in its time and remain something of an inspirational film for future horror features, instead standing as a slasher film that means nothing and will quickly be forgotten amongst other similar slasher films. I agree with that statement, but find that 2003 version to be a new millennium horror classic, were to compare it to what Texas Chainsaw 3D has to offer. It feels like there were three storyboards that surrounded the idea of what certain scenes involving a chainsaw would look like if they were shot in 3D and then a whole mess of a movie was structured around these three scenes. The result is garbage. Great job filmmakers for choosing to actually shoot the film in 3D and ‘somehow’ securing the right resources so the gore looks good. 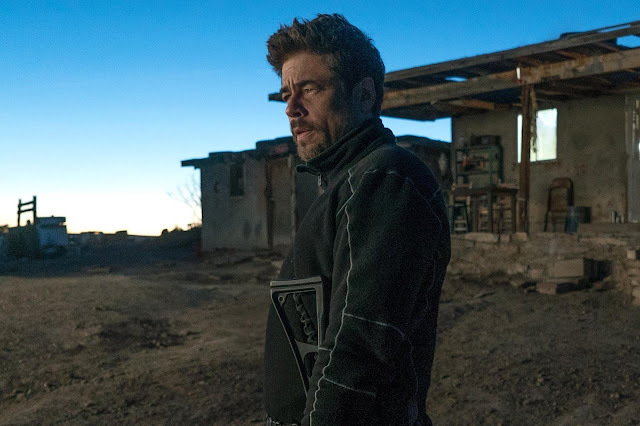 It’s just too bad that the film is too dark to appreciate what is on screen when it counts and too painfully boring to watch for most of the run time. The fact that the last third of this film is an unintentional comedy at least provided some saving grace for the ridiculous choices made by everyone involved. There is a point near the middle of this film where Leatherface is chasing his target through a Halloween fairground, filled with people in costumes. This was about one minute of fun, as there was actually something hilariously dark and almost subversive about what was going on in the film. 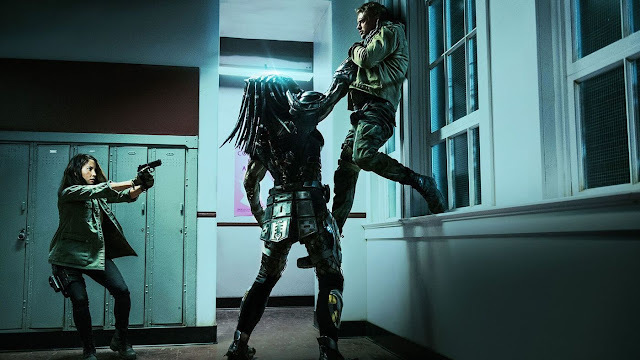 Unfortunately, I can only imagine that someone thought that was a funny idea, rather than something much more interesting to go on, as the scene is over quickly, and the film moves back to being terrible. That is what Texas Chainsaw 3D is; terrible, on all counts. The only thing that separates it from Piranha 3DD, better known as the worst film of 2012, is that at least I feel confident in appropriately labeling Texas Chainsaw 3D as an actual film, as opposed to an embarrassing attempt to be one. Not saying much of course, but again, 2013 has nowhere to go but up from here. Sherriff Hooper: Clean this up.